Michael assists clients with complex litigation, high-stakes regulatory disputes and appellate proceedings. He regularly advises business and education clients on constitutional, statutory and procedural issues, including the First Amendment, the Federal Arbitration Act (FAA), the False Claims Act (FCA), class certification, federal jurisdiction, immunity and due process. Michael has specific experience navigating challenging regulatory compliance matters and related litigation for colleges and universities, including Titles IV, VI and IX of the Higher Education Act, First Amendment free-speech protections for students and faculty, and student discipline. He has worked with both public and private institutions to achieve successful resolutions. As a former federal appellate law clerk, Michael also maintains a robust appellate practice, counseling clients through all stages of appeals including briefing and oral argument. He has helped clients secure significant judgments in federal and state appellate courts throughout the country. 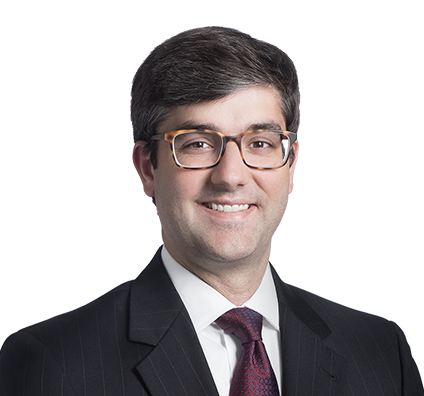 Michael also drafts amicus briefs in important appellate cases, assisting organizations in having their voices heard on critical legal issues. Before attending law school, Michael was an investment analyst at an asset-management firm that focused on investments in China. While there, he focused on evaluating the current operations and growth plans for numerous businesses. This experience provides him a unique perspective when advising on business and finance disputes. Michael has assisted businesses and organizations of all sizes, from start-ups to Fortune 500 public companies and major research institutions, defending their interests in contract disputes, trade-secret litigation and consumer disputes. Inside Higher Ed: Is Change Ahead for Title IX?